Pitbull tires are part of Tire Mart, Inc., which has been in business for over 50 years. This American family-owned business is committed to producing as many of their tires as possible in America. They pride themselves on the quality and integrity of their products and strive to provide exceptional service to their customers. As the name Pit Bull tires suggests, this brand focuses on aggressive road performance and rugged off-road adventures. 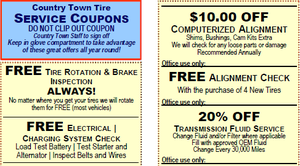 Here at Country Town Tire & Auto Service Center, we share a similar commitment to customer service. 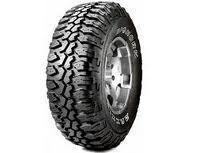 We are proud to offer our customers Pit Bull tires, as well as many other brands, such as Goodyear, Michelin, BF Goodrich, Firestone, Nokian and many others. We have an online tire finder tool to help match your vehicle with the perfect set of tires. All you need is the make, model and year of your vehicle and an internet connection. Once you have selected your tires, you can even schedule an installation appointment online. Of course, if you want a recommendation or have any questions about what tires are best for your vehicle and your application, give us a call at our auto service center in Hickory, North Carolina or one of our other convenient locations throughout the area. In Hickory, we are open Monday to Friday from 7:30am-6:00pm. We offer many other services beyond tires as well, so give us a call today.